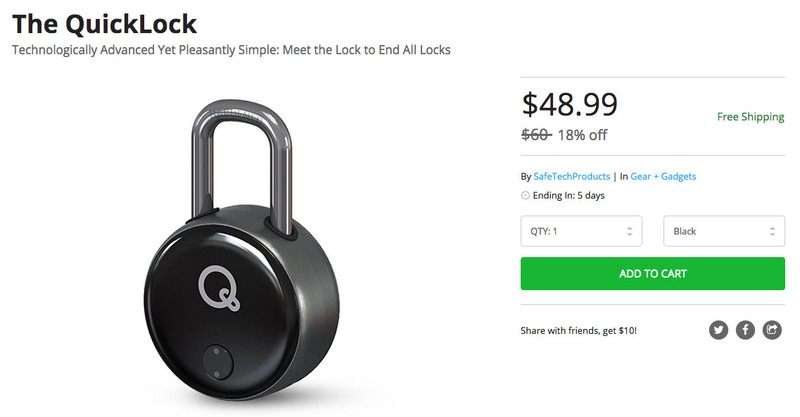 The QuickLock smart padlock has dropped to just $49 in the DL Deals store (a 18% discount). With this lock, you get smart functionality like the ability the unlock it without a key. You can unlock it via smartphone and app, special fob or ring, NFC key (up to 50 of them) or card. You can even add on multiple users, so you don’t have to worry about making keys for all parties needing access. The QuickLock charges via microUSB cable, but should last for up to two years on a single charge, and is made of die cast zinc alloy. The deal is live for just 5 more days.